How can I share a private ePortfolio as an instructor? 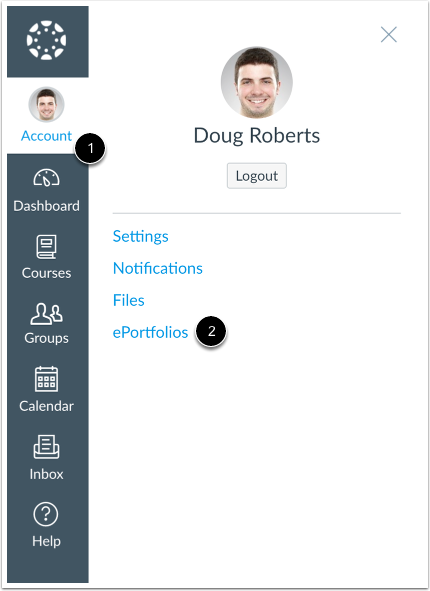 Sharing a private ePortfolio link will give others access to viewing your ePortfolio without having to log into Canvas. Click the title of the ePortfolio. All ePortfolios are, by default, private. This means that only you can see the contents of the portfolio. To share your ePortfolio, you will need to copy and paste the link into an email or other sharing utility. To copy the ePortfolio link, right click the share link and select the Copy link. You can also click the share link and the URL will appear in your address bar. Highlight the link, right click, and select the Copy link. Previous Topic:How do I retrieve assignments from previous courses in my ePortfolio as an instructor? Next Topic:How do I make my ePortfolio public as an instructor? Table of Contents > ePortfolios > How can I share a private ePortfolio as an instructor?